Welcome the Way of the Celts, land of myth and fantasy. Let us journey into the land of Fairytales and then back again into the land of Promise and Beauty that is the Emerald Isle and the Celtic Lands Magic and Mystery surround this ancient culture and without many written accounts of life in this realm of magic, we can only guess and imagine what it was like in the early days. What glorious stories can our imaginations create? Let us find out. Come join me now as we dance along green emerald paths past lilies, dandelions and daisies, fairies and butterflies into the lands of the Celtic mystery. Open your eyes wide as we explore, learn and grow and discover that all things are possible if you see it so. From a much simpler time in the past, our ancestors saw life through different eyes. We might believe that they had it much harder than us for they had no electricity or computers, no cars, trains or planes, no supermarkets or malls. Yet, the stories that are told and re-told and passed down from generation to generation are immensely filled with tales of heroic deeds and grand adventures, explorations into unknown lands and of love found and lost. Magic seemed to be a part of everyday life from the tiptop of those lovely green covered hills to the rocky shoreline of the Irish Sea. Magic is something that is everywhere it is a gift from the ancestors and the creator. The Celtic magic comes from our ancestors, their land and beliefs and also from modern interpretations of that past. Take some time to read some of the stories that are a part of our cultural heritage, Finn McCool, Cu Chulainn. Myrrdin, Morgan le Fay and of course the tales of the Otherworld, the Banshee Fairy and St Patrick. Keep that feeling of light and love in your heart as you honor your ancestors and walk through our modern world. Have you ever stopped and said to your self, “wow this is some life I was given to lead”. You don’t have to have a huge house, millions of dollars, perfect looks, a perfect body or perfect children. You can be blessed in everything you do everyday of your life if you just stop and give thanks for the little things that occur each day. The sunset, the fairies in your water fountain, the guardian angels you feel around you protecting you, your child’s good grade on a math test, the driver who let you in after waiting what seemed like forever at the stop sign, the birds, the rainbow after that huge storm, a friends hello. If you can give blessings for each and every small thing or at least as much as you can each day, small things will slowly turn into big things. Remember to always give back what you expect to get from others. Never harm anyone intentionally. A kind word, a smile, a pat on the back, a cup of coffee to the homeless guy all make a huge difference in someone else’s life, but they can also make a huge difference in your life, a difference that you may not notice right away, but it is there. When you need that cup of coffee or smile, it will be there for you. Remember to always think positive, never second guess yourself, if you make a mistake, deal with it and move on, don’t hold grudges, don’t ever wonder “what if”, learn from your mistakes, but don’t dwell on them. Take the magic and awe that is the Celt in you and use that strength in your everyday life. Magic happens every second of every day if you just open your heart to the possibilities. Now that you have connected with the ancient lands either by reading some fantastic tale of adventurous deed and triumph or by simply closing your eyes and imagining yourself kissing the Blarney Stone or walking through the Kylemore Abbey, enjoy the snacks below. Mix flour & sugar. Melt chocolate over stove (or you can microwave it) Add other ingredients to flour and sugar including chocolate. Let is sit for a short time to cool and then put in a piecrust of your liking. We always use chocolate piecrusts, yummy. Let set. Add 1-quart soda water and ice when ready to serve. The Way of the Celts – The night of Samhain! “Oíche Shamhna” The night of Samhain! Welcome the Way of the Celts, land of myth and fantasy. Let us journey down the long corridor from summer to winter on the Emerald Isle and in the Celtic Lands. After the summer sunshine begins to fade, the cool breezes begin to blow and the fall rains cascade past the hillsides like Tara and down to the Irish Sea. The most interesting tradition of Samhain or in Gaelic Oíche Shamhna is celebrated on the 31st of October. The festival was seen as the beginning of the Celtic New Year. Come join me now as we dance along green emerald paths past lilies, dandelions and daisies, fairies and butterflies into the lands of the Celtic mystery. Open your eyes wide as we explore, learn and grow and discover that all things are possible if you see it so. Samhain was one of the four main festivals of the medieval Irish calendar. Samhain celebrations have survived in several varieties and forms as a time dedicated to the harvest and also a celebration of the dead. It represents the final harvest of the year as the sunny days become short and the long night sky dominates the winter months. It is still the custom in some areas to set a place for the dead at the Samhain feast, and to tell tales of the ancestors on this night. This is the night when the veil between the worlds is the thinest and some believe you can see and talk to your ancestors. Bonfires played a large part in the celebrations on this mystical night. In some rural Celtic Villages it was custom to cast the bones of the recently slaughtered cattle upon the flames. Samhain was the traditional time for slaughter, for preparing stores of meat and grain to last through the long winter months. It was a time to honor the dead and to honor the harvest that would see them through the cold winter in the land of Erin. Have you ever wondered how the Celtic feast of Samhain became the modern celebration known as Halloween? In the seventh century, Pope Boniface IV designated November 1st All Saints’ Day, a time to honor saints and martyrs. Christianity had come to the Celtic Lands and it is believed that the pope might have been attempting to replace the Celtic festival of the dead, a pagan tradition with a Christian holiday. Halloween came about because it was All Hallows’ Evening and it was eventually shortened to Halloween. An interesting reason for this change might have been simple compliance with Christian church doctrine. The people were still feasting at Samhain, eating meat, so a Christian alternative had to be provided. To honor the saints and martyrs on All Saints day, people abstained from eating meat or fasted to cleanse their bodies and souls. The question has been asked and pondered by many, what did the Irish eat at Samhain? The quick answer is lots. There was a store of food for the winter and the harvest was complete. So it is very likely that that the Celts ate very well during this celebration, meats, potatoes, grains and sweet treats. Changes occurred when Samhain became All Hallows’ Eve. This day became known as a day of fasting and cleansing of the body and mind, meat and meat products were not to be eaten on this day of reverence. So a traditional Halloween treat would have been become vegetarian at this time. Some yummy examples of the Vegetarian meals might have been pancakes and dumplings, sweet or spicy, apple fritters, cakes, bread and cheese. These items were sure to fill the belly: cabbage, potatoes, leaks and soul cakes and other sweet treats. Enjoy the delicious Irish Boxy, Scottish Egg Cookies, and some C.E. O’Bannon Punch (my granddads recipe) below. Don’t forget to bob for apples and dance to the Monster Mash! the top. Bake in the frying pan until golden brown. degrees until brown on the outside. Approx. 10 minutes. Welcome the Way of the Celts, land of myth and fantasy. Let us journey into the long awaited Summer Season for the Emerald Isle and the Celtic Lands. After the spring ends, the planted fields grow and springs forth majestically and love and light fill the valleys and shine across the hillsides down to the Irish Sea. The ancient tradition of Lughnasa or in Gaelic Lùnastal (August) is celebrated around the end of July or the first of August. The festival was associated with water and earth, corn, flowers, harvest, plants, streams and mountains. Come join me now as we dance along green emerald paths past lilies, dandelions and daisies into the world of Celtic renewal. Open your eyes wide as we explore, learn and grow and discover that all things are possible if you see it so. Lughnasa was one of the four main festivals of the medieval Irish calendar. Lughnasa seemed to be celebrated as a time of community gatherings, market festivals, reunions and handfastings. The long months of waiting for the harvest and the hunger associated with the previous months were now over. The celebration and majesty that surrounds Lughnasa is a blessing of thankfulness for the harvest and crops and plenty that will now be given from the land to the people. It is interesting that flowers and corn are a prominent Lughnasa theme in ancient times and into the modern era. The modern Christian feast of the Assumption of Mary on August 15 is also closely associated with flowers and corn customs. This could be another wonderful example of the Christians in St. Patrick’s time borrowing Pagan festivals to teach the Irish about Christianity. The name Lughnasa was derived from Lugh, a Tuatha De Dannan king. Lugh’s mother, Tailtiu, died around the month of August so to honor her Lugh held a sporting contest at what is now Teltown, Co. Meath. The contests consisted of hammer throwing and tossing the caber or long sword. It is possible that modern Highland Games originated from these Tailtiu games. When Christianity spread through the lands of Erin and the ancient Celtic civilizations, Lugh’s place was taken by monks and saints such as St. Patrick and St. Brendan. Today in Ireland you can still find celebrations and festivals that honor the ancient traditions Lughnasa or the Christian tradition of the Assumption of Mary. The summer months are a grand time for fairs and celebrations because the weather is usually mild and pleasant. The Puck Fair, in Killorglin, County Kerry is one of the best-known traditional fairs when a male goat is crowned as king for three days and known as ‘ King Puck’. Lughnasa Sunday is known as ‘Bilberry Sunday” in many districts of Ireland. An interesting tradition is to climb the mountains to collect fruits that might represent the first harvest pickings. In yet other parts of Ireland the closest Sunday to Lughnasa was known as Cally Sunday. It was the traditional day to harvest the first of the potato crop. In some parts of Ireland people continue to celebrate the holiday with bonfires and dancing. The Catholic church has established the ritual of blessing the fields on this day. In the Irish immigrant families in other countries including the United States and Canada, the Lá Lúnasa festivities are traditional times for family reunions and parties. Today, in Ireland, Lughnasa celebrations are largely replaced by Garland Sunday. It is celebrated on the last Sunday of July and is a bank and postal holiday. Enjoy the delicious Potato Dumplings, Fruit Lemonade, and Bailey’s cookie recipes below. Find a hilltop or hiking trail with a stream and plenty of flowers and pack your freshly made dumpings, lemonade and cookies and take your family on a picnic to honor your Celtic Ancestors on this August day! Combine potatoes, eggs & seasons. Mix in flour & blend. Drop in rapidly boiling water. Melt chocolate pieces, Bailey’s and heavy cream together over very low heat. Wisk in yolks. Wisk in butter. Remove from heat when thickened. Refrigerate for several hours until firm. Make into balls and roll in powdered sugar. After you have mashed and strained the Strawberry juice, put the juice back in the pan and add 2 cups sugar. Heat to boil again. Add tea bags. Boil about 8-10 minutes. Use 2-4 tablespoons of the syrup to 8 oz of water, mix and add ice. You can save the leftover syrup for about 6 months in a jar in the refrigerator. The Way of the Celts – A time when life and fertility was honored and revered! A time when life and fertility was honored and revered! Welcome the Way of the Celts, land of myth and fantasy. Let us discuss the ringing in of the Summer Season for the Emerald Isle and the Celtic Lands. After the spring begins a time when the flowers flourish, the grasses grow, the harvest thrives, and the Emerald Isle is alive and teaming with life and love. The ancient tradition of Beltane normally celebrated around April 30 to May 1, also known as May Day, rings in the warm and life giving season of summer. The magic and majesty of the universe and the celtic lands are alive and visible. Renewal is in the air and the wee folk are sprinkling magical fairy dust to all that enter their realm. Love and Magic can be felt all over the lands, if you simply open your eyes to the possibility. Summer is the time to relax and renew and breathe the clean fresh air that is life. Come join me now as we dance along green emerald paths past lilies, dandelions and daisies into the world of Celtic rebirth. Open your eyes wide as we explore, learn and grow and discover that all things are possible if you see it so. Many celebrations occurred, as this was the beginning of the summer season. The Otherworld and Fairies were magickal and prevalent in the celebrations during this time. There are many ancient traditions for the celtic lands that are still practiced and associated with Beltane today. The best recognized of these events is the Maypole. The Maypole is decorated and on the very top is placed a Hawthorne wreath. The Hawthorne wreath is a very time-honored occurrence in Ireland. Also, present at the May Day celebrations are maidens adorned with flowers and the May Queen high atop her white steed. In ancient times the May Queen was associated with Freya, the Norse Goddess of Magic, Love and Fertility. She is most befitting because this is a day of Magical renewal. There are other enchanting events associated with Beltane and May Day celebrations. The traditional lighting of a bonfire is a long held custom. The fire represents renewal and rebirth and cleansing and magical awareness. In the ancient days of Ireland when fairies and other wee folk roamed freely, the traditional fire was lit on the ancient hilltop at Tara. Tara was considered the ancient ritual center of the Celtic Lands. Can you not see the glorious sparkle of firelight glowing as maidens adorned in flowers danced with long flowing locks and young men watched them in adoration. Wee leprechauns and fairy folk alike stood in between the veil of both worlds to watch the magic play forth in the red fire embers. Another delightful tradition is the May Basket. You can make your own basket or pick one up at a craft store and fill it with fresh herbs, soaps, teas, cookies, candies and bath salts or anything else you would like and give it to someone in need of love and kindness or even a stranger on the street. Passing on the blessings of life and magick to someone else is a truly enchanting gift for you and the recipient. It need not be expensive, just from your heart. Remember to decorate the basket with flowers and maybe even a Rowan twist. Take a Rowan sprig and twist it into a ring and then as dusk appears on the horizon, look through the circle and you might just catch a glimpse of those wee fairies dancing and singing the ancient melodies of Ireland past. Enjoy the Tea & Cookie recipes below to renew your spirit and tantalize your taste buds as you dream of renewal in your life and work toward fulfilling your hopes and dreams. Bake your cookies & brew your tea, relax in your lawn chair in the Mid Summers sunshine and let the rays wash over your body and clear your minds eye to all of life’s fantastic possibilities. Place all ingredients into teapot and boil with 3 cups of water. Add fresh honey to sweeten, if desired. Serve hot. Mix all the ingredients except for the sugar and form into 1 balls Bake 14-17 minutes at 400 degrees. While the dough is still hot roll in sugar. Let cool and roll in the sugar again. The Way of the Celts – Renewal and the Turning of the Year! Welcome the Way of the Celts, land of myth and fantasy. Let us discuss some ideas and concepts surrounding the turning of the year and rebirth, renewal and revitalization. The Ancient Celts believed the world to be a magical, variable realm ruled by invisible forces and mystical elements. Each and every rock, stick, twig, tree, stream, flower and river had a spiritual presence associated with it. The ancients would be very careful and watch were they walked for they never knew if a Sprite or Fairy was lurking under the petals of that daisy they just walked past. They believed that the sprit or deity associated with each thing in nature might be watching them, so they were oh so careful. Even the most mundane tasks and projects were taken care of with reverence and rituals became associated with each task to keep the spirits happy and to avoid being captured by the faeries. Some of these have become traditions that are still in practice today. Come join me now as we dance along green emerald paths past lilies, dandelions and daisies into the world of Celtic Renewal. Open your eyes wide as we explore, learn and grow and discover that all things are possible if you see it so. The beginning of February to the ancient Celts was considered the first day of spring. This was a time of renewal and cleansing. In Irish Gaelic, Imbolc (pronounced im’olk) means “in the belly” (i mbolg). It refers to the pregnancy of ewes, which were very important animals in the Celtic lands. Imbolic is the Celtic term for spring and the seasons that begin after the dark months are ending. There were not many written records, so much is supposition about what Spring acutally meant to the Celts in terms of cleansing and renewal. If we look at the word Imbolc we can give it meaning, Life, literally. In the belly and preganancy are beginnings and thus Spring is deamed a beginning and what a perfect time to clease the Body, Mind and Soul. The gloom of winter is leaving the Celtic lands and white snow and pounding rains are replaced with green fields and flowers, dancing fairies and magickal creatures breathing in the fresh clean air and basking in the glory of the sunshine. Brigid the Goddess of healing and poetry was often associated with Imbolic and springtime by the Ancient Celts. This was her season and time and they honored and revered her in the rituals and events. Later after Christianity came to the Celtic lands, St. Brigid’s Day replaced the honoring of the ancient Goddess with the honoring of the Patron Saint Brigid. Could they be one in the same? When converting Ireland to Christianity a lot of pagan traditions were brought forward into the religious beliefs of the peoples of Ireland to make conversion easier. One tradition associated with Brigid is to light a fire of renewal and think on your life and what you want and need. Look into the fire and ask the pagan Goddess Brigid or the Christian Saint Brigid to help you with your vision for you life. She is after all associated with renewal and this is a time to cleanse the mind and set your soul on a journey to whatever your hearts desire is. 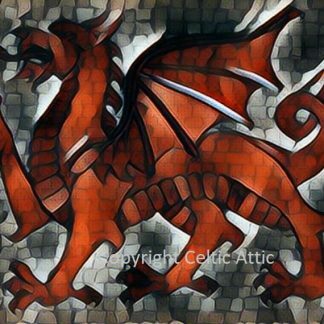 So gaze into the flame and form a picture or idea of what you want in your life for yourself, your family, your community, the world and ask for the blessings of the Celtic Lands. Can we take the magic of ancient times and bring them forward to make our own lives richer and blessed? Let us see… Hurry, the veil between worlds is thinning, we must catch our ancestors, for in understanding the past, we create the now and set sail the path of our future. After you do any cleansing or purification ceremony for your mind, spirit and soul, please take a few moments to cleanse your body. The recipe below is the perfect tasty treat so try it and enjoy making some Chai Spirituality tea. Find a comfortable chair and cleanse your body with this delightful taste tingling pleasure. Chai is a spicy tea and it is used to settle your tummy and aid in digestion. It is perfect tea to start the Spring’s new path with. Add all the herbs to a tea ball and In a saucepan, combine water and drop in the tea ball full of herbs. Cover and allow to simmer on low heat for eight to ten minutes. Add the milk and simmer another 2-3 minutes and then strain the tea and pour into your favorite mug. Welcome the Way of the Celts, land of myth and fantasy. Let us discuss a concept that dates back to the earliest times of Pre-Christianity. This was a time when Fairies, Leprechauns and Dragons roamed the Emerald Isle, a time when the interconnectedness of the clans, the land, the world and the universe were treasured. A time when the passage of time and the cycles of the moon, sun and tides were honored and respected. Let us explore the concept of the Wheel of the Year in the Celtic Lands. Close your eyes and envision a giant clock with gold spun hands turning as each new season arrives. Can you see the harvest? Can you feel the warm air on your face and the brisk chill as the land turns its way from summer to fall? Let us now turn the Wheel and explore the ancient Celtic Seasons of life. As each wheel turns in each and every season of our lives, there is new hope. With each seed of hope sown is the promise of a better tomorrow. Open your eyes wide as we explore, learn and grow and discover that all things are possible if you see it so. In the Celtic Lands year was divided into eight positions that were determined by the position of the sun. Each season was marked by a festival that began at sundown on the eve of the event and lasted until sundown on the day of the event. The ancient Celts were part of an agricultural society and the changing of the seasons and the natural patterns the seasons brought helped to define the routines of their lives. The Celtic year was basically divided into the Light Seasons and the Dark Season. What can we learn from these ancient traditions today? Can we take the magic of ancient times and bring them forward to make our own lives richer and blessed? Let us see… Hurry, the veil between worlds is thinning, we must catch our ancestors, for in understanding the past, we create the now and set sail the path of our future. Since the Wheel of the Year has no beginning and no end, it is simply a circle of life unfolding; I will start with Samhain. October 31-November 1st. Known as the Festival of the Dead or Samhain to the Celts. To the modern world it has become known as Halloween or All Hallows eve. This is a time when the veil between the land of the living and those who have passed before us is so thin cross over is possible. I have spent many a night praying for those in my world and those who have crossed over. To light a candle and ponder the past, present and future on this night is truly magical. This celebration divides the Celtic year along with Beltane in May. This is the start of the dark season. Winter Solstice – December 21-22 is also known as Alban Arthuan Welsh for “Light of Winter”, is the Celtic festival marking the winter season. The Christians have named this time Christmas after the birth of Jesus Christ. In Ireland New grange, a circle of standing stone shows the dawn of the Winter Solstice. Winter Solstice is one of the oldest festivals and was celebrated under other names by many other cultures through time. Imbolc – February 1-2 is also known a St. Brighid’s Day or Candlemas, and the Christians named this season the Purification of the Blessed Virgin. This season belongs to Brigid, the Celtic goddess who in later times became St. Brigid. This is a time of Fire and purification and for preparing for the sun to return and the harvest to be planted. Alban Eiler – March 20-21 also known as the Spring Solstice and to the Christians the Feast of the Annunciation of the Blessed Virgin Mary. This is a time of fertility and for planting and renewal of life and love. This season provided for a balance and transition and it was considered a very magickal time by the Celts. Beltane – April 30-May 1 also known as May Day. Many celebrations occurred, as this was the beginning of the summer season. This is the time where life and fertility was honored and revered. The Otherworld and Fairies were magickal and prevalent in the celebrations during this time. Alban Heruin – June 21-22 also known as Summer Solstice and to the Christians the Feast of the Nativity of St. John the Baptist. Summer Solstice is the longest day of the year so bonfires were lit to welcome the sun and also to honor the passing into the harvesting season. Lughnasada Irish – July 31-August 1. This festival marks the beginning of the harvest and is a time of community, markets, feasts and reunions. This is the perfect time for handfastings and finalizing marriages from the previous years celebrations. Alban Elued – September 21-22 also known as Autumn Equinox and to the Christians the Feast of St. Michael. This is the time of the very last harvest of the year and preparing for the winter season. This is a time of balance and for honoring the spirit world. Welcome to the Way of the Celts, land of myth and fantasy. Most Cultures can trace their paths back to a time when there were no computers, automobiles or airplanes. The Celtic peoples origins can be traced far back to antiquity. For the ancient Celts, grand tales were told by word of mouth and passed from parent to child and to the clan. Imagine a vibrant bonfire of orange and yellow flames shooting towards the night sky. Close your eyes and see a clan of Irish Celts sharing tales of Giant Trolls chasing a wee Fairy Princess through the wooded forest. Envision now if you will a culture that did not write down a single word of its most precious and prized tales. Can you hear them speak? Listen to the wind as it passes grand stories and adventures through the air. What of these people? Why did they not write down for future generations their most prized tales and visions? Join me know as we explore an ancient way of communication from the Celtic Lands. Come let us explore the world of the Celtic Knot and what these strange and entrancing symbols meant to the Celts and mean to us today. Hurry the land of Shamrocks and Heather as it beckons you listen and observe! Welcome to the Celtic Lands. The Celts have been around for quite some time. There is much magic and mysticism associated with these people and with the land of Erin, the Emerald Isle and all the British Isles indeed. Modern folk are attracted to the Celtic Knotwork of these lands. Spirals, Key Patterns, Interwoven Love Knots and Geometrically perfect symbols. What do all these symbols mean? Does each have a place in history? Did the Gods and Goddesses wear these symbols? Did the mortals design them out of reverence for their world and surroundings? Does the Spiraling knot shaped like hearts truly represent “Love”? Ah to answer this question in a mystical and enchanting way is quite the challenge on the part of Historians, Secular & Religious folk alike. Before the time of the Christian influence on the Celts, the only known Celtic Knotwork consisted of simple geometrical patterns. While they were ornate, delicate and painstakingly crafted, I am sure; they did not represent anything specific to the ancient Celts. They did not create the love knot to express adoration of their spouse, nor did they create the peace knot in hopes of ending the Roman occupation of the British Isles. The basic premise of life was simple for the Celts, all things were revered and worshiped, but I do not believe and Historians have debated this, that they created Knotwork as symbolism. It is more likely they created it as a lovely way of adorning their land, their person and their dwellings. This early Knotwork did not feature plants, animals or humans. As most early Pre-Christian civilizations, they might possibly have believed that making a representation of any living thing was contrary to their belief of the interconnectedness of life. To form a symbol would be to take away the very spirit of what they were trying to represent. As time marched on in the Celtic lands and Christianity and its teachings came to the Emerald Isle and the other cultures, the Knotwork symbols were re-born. Christian Celtic artwork was strongly influenced by pagan Celtic sources. It is only in the artwork of the post Pagan era that we see Knotwork representing a certain idea or aspect of life. The Christian Celts added human, plant, and animal forms to their glorious Knotwork designs. The most famous example of this artwork form is the beautiful illuminated manuscripts – The Book of Kells. Images of the ancient lands and of a people that were steeped in magic and mysticism come to life in the Book of Kells and other Knotwork manuscripts. The Crane, Raven and the Dog are gloriously depicted in the Book of Kells. The Celtic cross, which is now one of the best-known symbols of Irish Christianity, was introduced in this post Pagan era. Today Celtic Knotwork symbols have been assigned attributes and meanings. This is a modern interpretation and re-design of the ancient Knotwork patterns. I will mention a few to entice your appetite to explore this symbolism further. Keep in mind these are the modern interpretations. The modern Eternity Celtic knot symbolizes the never-ending eternal circle of life. The Shield Celtic knot is a symbol for protection. The claddagh is a traditional celtic symbol, the hands are for friendship, the heart is for love and the crown is for loyalty and sometimes this symbol has Knotwork woven into it. The Celtic Love Knot can enliven relationships, heighten passions and attract true love. The Triscele was a sacred symbol to the Celtic People. It represents the eternal rhythm of life that we are all a part of. The traditional ancient Knotwork Interlace pattern is probably the most common pattern. Basically it looks like strands of braided strips that bend and weave amongst themselves. It could possibly represent the interconnection of life and the universe. The Trinity knot spirals are included in this grouping and may occur in double, triple or quadruple swirls. Spirals are typically joined to one another in either an “S” or a “C” type format. They may represent the universe, heavens, and water or an individual’s journey through life. I am sure as you explore the various Knotwork patterns of both the ancient Celtic People and the modern Christian art, you will see meanings within meanings. After all, artwork is about inspiration and magic and vision. Open your vision to see the sacred Knotwork of any ancient people still in use today. Welcome the Way of the Celts, land of myth and fantasy. Most Cultures can trace their paths back to a time when creatures now considered strictly of fantasy and myth roamed the earth. 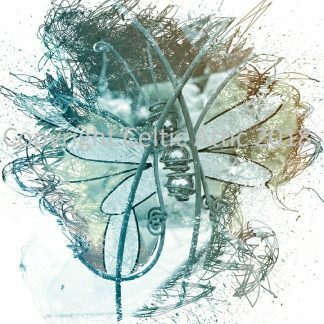 For the ancient Celts, grand tales are steeped in legend of Fae folk dancing, singing and fluttering on gossamer wings throughout the lands while angry leprechauns guard their precious pots of gold from those stingy humans. The greatest of all tales involve the Gods and Goddesses, aw those beings of omnipotence guiding mere humans to do their bidding. Are these really the tales of Celtic Legend and myth or is there more to these immortal beings? Join me know as we explore the ancient ways of the Celtic Lands and explore some of the Gods and Goddesses that even today are renown and revered in the Emerald Isles and beyond. Come grand tales beckon us in the land of Shamrocks and Heather! Welcome to the Celtic Lands. There are many Gods and Goddesses associated with the Celtic Lands. Each Celtic country seems to have its own version and name for these beings. We will look at just a few, as there are literally hundreds associated with the Celts and the surrounding lands. Let me now pose the question to you of immortality. Are these Gods and Goddesses supernatural beings separate from each other and we mere mortals or do they all join to serve a purpose? Is there one supreme almighty being above all else? Or are there many? The answer is a mystery and is the substance that dreams and legends are made of. These Gods and Goddesses also bring with them much controversy for every religion on this blue planet. I seek only to open your mind and hearts and heighten your senses to contemplate the possibilities of Fantasy and Reality and of Gods and Goddesses. Each person must answer their own question about Spirituality and I seek only to explore the ancient lands. If your heart is open, you will feel the almighty, singular or plural, in each and every breath you take. Now let me take your breath away by exploring these fantastic entities of the Celts. The Celts being spiritual, most likely believed in some form of reincarnation and the journey of the soul to the after life. Research shows that they did not accept the belief of punishment after death such as a modern hell or purgatory. Female and males were on a much more even basis then in modern societies. The Priestesses were highly revered as were the Druid Priest. Each served a different purpose and walked a different path, but each led to the spirituality of the lands and the people that roamed the Celtic lands. As a Red head, I have to note here that Red-hair females were sacred to the war Goddesses, as their hair was the color of blood. We will now briefly look at some of the Celtic Gods and Goddesses. I am just going to highlight a few and their associations. There are hundreds of books you can pickup to delve into each of these fantastic personalities. I encourage you to explore and delight your senses with their grand tales and explorations. Rhiannon is associated with Ireland. She is the Goddess of birds and horses and is seen riding a grand white horse. Brigid is also associated with Ireland. She is the Goddess of agriculture, fire, healing and inspiration. She might be one in the same with the Christian patron Saint of Ireland Brigit. Morrigan is associated with Ireland and Wales. She is the Goddess of lust, magic, prophecy, revenge and war. She is often seen in battle with tattoos and armed with sword, shield and cape. Epona is associated with Britain and continental Gaul. She is the Goddess of horse breeding, healing spring and prosperity. She is often pictured riding her valiant steed. Lugh – is associated with Ireland, and Wales. He is the God of all crafts and arts, healing, journeys and prophecy. He is associated with the Raven in Ireland and the White Stag in Wales. Manannan Mac Lir is associated with Ireland and Wales. He is the God of the sea, magic, navigators, commerce, storms, rebirth and weather. Spirituality is about more than living life in a positive manner. It is about faith in yourself, the universe around you and that, which simply is. The ancient Celts were not Christian; after all Jesus hadn’t been born nor had Moses parted the Red Sea. The Celts were quite simply a spiritual people and they assigned each part of nature a name or attribute on a faith level. Gods and Goddesses… Faith is that little voice in your head that says “Do the right thing, trust that all will be OK”. Faith is unconditional acceptance that the universe is working exactly the way it should be. So if we can be guided by these principles, what is to say this did not start in the ancient lands? After all, those lands of mist, faith, mystery and wee fantasy creatures running freely throughout the highlands would have been the perfect venue for Spirit to begin. Welcome the Way of the Celts, land of myth and fantasy. 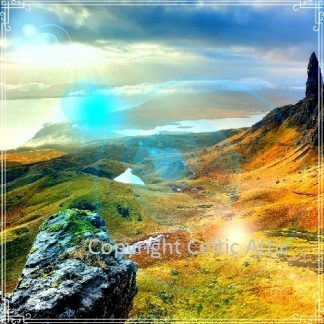 As we look to the magic and mysticism of the celtic lands, let us delve into a place revered and inspiring to the Celts. A place if mentioned today might bring out fear of the devil, fire and brimstone, hell and damnation. Let us journey in the Otherworld, the land known as Tir na nÓg. Come with me lets carefully part the veil of fine mist and lace and journey into the unknown. Off to the lands of death and re-birth, the lands that create the awe-inspiring image of Celtic Warriors, Princesses, Princes and Goddesses. Come our ancestors await! Welcome to the Celtic Otherworld. The Otherworld according to legend basically has three levels. The upperworld, middle world and underworld. Most Celtic myth and lore explore what is known as the Tir na nÓg. It is sometimes seen in Irish tales as an island far to the west of Ireland. To reach this sacred land one must travel over the water and a far distance indeed. Water is present in most tales about the journey to the Tir na nÓg. Water is a symbol of rebirth and purity, so it makes sense one must travel via water to reach such a sacred land. It is cleansing just to take the journey. Other myths offer a wide range of ways you can enter the underworld. Two of the most popular are via a Sidhe, the Gaelic world for mound or hill and via the Fairy women such as the Banshee Fairy. This is the land of our ancestors. This island stands still to time and is the place of myth and fantasy. Heroes and Heroines, Gods and Goddesses live suspended in mist on the island of legend. The island known as Tir na nÓg is a land of perpetual youth and beauty. Time stands still, flowers do not die or wilt and life is ageless. It is found in many Irish tales of magic and mysticism. The land of youth holds the legends and tales of mighty heroes and sorcerers, and of the ancient ones long ago honored for their deeds. This island keeps secrets and only the brave and daring that listen with their whole hearts and souls can hear the whispers upon the winds of past tales of glory. If you listen oh so carefully you might just hear an ancestor impart words of wisdom for we mere mortals to only contemplate and praise. Pay close attention to the air as it brushes past your ear for it might be your ancestor or a grand Goddess telling you a tale of their mighty life and love. This is a land of Fairy tale and Adventure. This is a Celtic Heaven. Once upon a time the tales and legends of heroes and heroines were passed from person to person and generation to generation. They were not fairy tales, but tales of astounding bravery and magic. As the years passed and Christianity came to the Island of Ireland, these tales have been resigned to the realm of fantasy. Tir na nÓg is no exception. It has slowly been woven into the modern culture and pleasantly referred to as Heaven. The underworld became a separate entity and was resigned to the realm of fear and danger. It became equated with the Christian idea of Hell. The old ways and some of the ancient practices for honoring the ancestors became viewed as evil. Samhain, which is celebrated as a day when the veil between the world of the physical and the world of the spiritual are so close our ancestors can step through and visit us, is now seen as a scary day. It is feared as witches and magic are feared. The tales of our ancestors are not to be feared, nor are their ways. Like all cultures old ways, they are lessons and myths to learn and grow from. Open your minds and hearts. Celebrate the magic and mysticism for there is wisdom in the old ways! Why fear what you do not know? Why not just explore life for the positive experiences that it has to offer. We do not know if there is a really a Heaven or Hell or a Tir na nÓg or Underworld. Life is about exploring and finding adventures to ride through time on. Learning allows the mind and the spirit to sore to heights that the physical world has place constraints upon. What if there are magic and wee fairies do run through the woods outside your bedroom window? What if Tir na nÓg really does exist and our ancestors await us to boast of grand tales of fortune and exploration? Anything is indeed possible and most tales have some basis in reality, so why should these Celtic adventures be any different. Open you mind and your heart and your soul, for you will need all your senses to truly live a life of adventure, promise and blessings. If you want something, just close your eyes and see it happening. The power of the mind and soul are endless as are the adventures and tales of the Celtic people and its culture.